Fate/Extella Link is ranked in the 70th percentile of games scored on OpenCritic. If you’re a fan of musou games or the Fate franchise of games/anime, this is pretty much a no brainer for you. Pick up post haste! 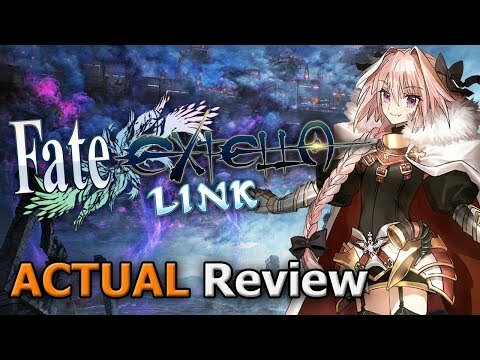 If you’re not a big fan of musou games, the Fate series or traps, Extella Link is still might be worth a pick up, at least to try it out. Fate/Extella Link is a great game, reassuring its own identity in the hack-n-slash/action genre, with a very fun combat system and a story on par with other things in the franchise, allowing it to go toe-to-toe with similar games and even claim a few wins on this war for the player's attention. While the core gameplay is more or less the same, all of the extra added features, not to mention the added 10 playable characters, Fate/Extella Link is a remarkable experience and one I thoroughly enjoyed. In terms of story, writing and visual effects, fans of the Musou genre should definitely check this title out. Fate/Extella Link doesn’t provide an experience that’s a million miles away from Fate/Extella: The Umbral Star, but pretty much everything about it is just better. Whether you are a fan of the series or not, Fate/EXTELLA LINK is rather fun, it's filled to the brim with action, and allows for fans both new and old to familiarize themselves with a healthy roster of well-established servants. It ensures that no one encounter will ever be experienced exactly the same and sets itself leagues ahead of some of its competitor titles, making it an absolute must-have for Musou fans. Overall Fate/EXTELLA LINK improves on the first game with more characters, more things to unlock and solid combat. You won’t find the same epic scale of storytelling here as in its predecessor, but Fate/Extella Link excels with superb battles and sets down the groundwork for what could be an even better sequel. If you're looking for a hack and slash game, Fate/Extella Link is a fantastic one, even if you're not a fan of the series, though if you are, that's another good reason to jump in. Fate/EXTELLA LINK is everything the first game should have been. With the big Nintendo-related hack and slash franchises (Fire Emblem and Hyrule Warriors) already present on Switch, the Fate/EXTELLA titles don't usually get a lot of attention. But the Fate series is sneakily popular, largely due to the popularity of the Grand Order mobile game, and fans of Fate will find a good time here. For everyone else, your enjoyment of Fate/EXTELLA: LINK will largely depend on your tolerance for anime stereotypes. Even though Fate/Extella Link feels a lot like its predecessor, it's still a much-improved game that'll keep you hacking and slashing for hours. Divisive in nearly every facet, Fate/EXTELLA LINK is a game that lovingly caters to its demographic, however limited it may be. Fate/Extella Link improves upon Fate/Extella: The Umbral Star in nearly every way, even if it still struggles in many areas. The hard thing about review a Dynasty Warriors game is how important is the mindless fun aspect. For Fate/Extella Link, it just feels so robotic that it's hard to get excited. Defeat countless enemies to see numbers go up, just for the sake of seeing numbers go up. Online will help fight this, as the human element will at least shake them up, though it's hard to say how many people will actually play. In the end, you have a hollow game with a confusing story, making it hard to suggest, unless you're a big fan of the series or just want some mindless fun before doing something. Fans of Fate will enjoy this, it's basically fanservice. The Musou style gameplay has been used for many franchises in Japan across the years, with popular series like One Piece, Kamen Rider, and Gundam all receiving games that give fans the chance to play with their favourite characters. Fate/Extella Link continues offering the same entertaining blend of musou action and RPG-like progression, in a package that is bigger and better. 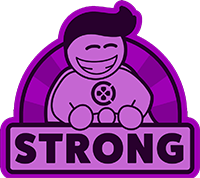 Still, unless a big fan of the franchise, it's not exactly a must-have, as it mostly feels like an improvement that generally keeps things annoyingly safe.